To view the list of AdWords coupons, visit https://www.jm-seo.org/tutorials/adwords-coupons/. It must be noted, however, that the JM Internet Group is, of course, not in control of these offers which come directly from Google, so they may expire at any time without notice for any reason. Indeed, interested persons who know of other ways to get Google AdWords Coupons are encouraged to contact the JM Internet Group with their coupon techniques. Many advertising agencies, for example, use these coupons for new clients who would like to try out Google’s advertising platform. 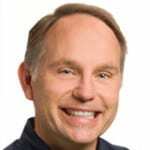 Plans are underway for the 2018 edition of the AdWords Workbook. 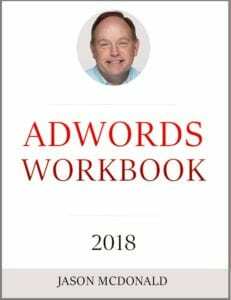 The book on AdWords is not yet available in the 2018 edition, but it is available in the 2017 edition at this time. This book teaches the lies and secrets, tips and tricks, tactics and techniques that will help small businesses leverage AdWords to get a company, product or service to the top of Google, in video ads on YouTube, into email ads on Gmail, and placed on a cornucopia of websites in the Google Display Network (GDN) as both images and text. It will also show the power of remarketing, how to get ads in front of potential customers by following them across the Internet. The book’s goal is to first understand how best to use AdWords, and then to set up AdWords advertising in the most efficient way possible, spending the least while getting the most from each advertising dollar. AdWords coupons are a great way to start out, as an advertiser can save up to $75 just by using these coupons.